Need a holiday? Here’s your chance to win one! There’s nothing quite like a chilled beach holiday. Kicking back and relaxing while you soak up some sun and sipping cocktails as you look out over the ocean. 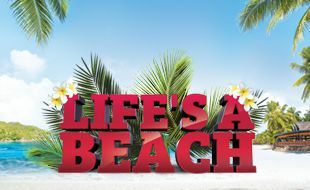 That’s why we are giving you the chance to win an all-expenses-paid holiday to Paradise Sun in the Seychelles or at The Beverly Hills or Suncoast Towers in Durban. That’s right, by entering our Life's A Beach promotion, you could be on your way to one of these incredible destinations sooner than you think! Oh, and we’re also giving away over R200,000 in cash and prizes. Amazing, wouldn’t you say? All you need to do is play Slots and/or Tables with your Blackrock Rewards card. Points earning criteria is the same for all Rewards cardholders. You will need to earn 100 points per draw ticket to enter this draw for your chance to win a share of R65,000 in cash and FreePlay. Tickets may be entered from 10h00 on the day of the draw. The cut off time to enter will be 15 minutes before each draw. Active database in the last three months will be awarded with a free ticket into the bonus draw only. At 09h00 all 9 participants in the order of Black, Platinum and Gold will participate in an elimination game to determine the 1st, 2nd, 3rd place per tier. 3 identical mechanisms will be chosen by Black, Platinum and Gold finalists in the order they were selected at the hourly draws, the mechanism will reveal their prizes. 1st prize winner from each tier will win a holiday based on their Rewards card status. Draw entries cannot be purchased for cash or through any other form of consideration. Prize Winners will be selected by way of random draw. Draw times and dates; and points criteria to earn tickets, will be advertised through advertising mediums used for this promotion. Participants must activate their entry into the draw(s), on the day of the draw(s) prior to the actual draw(s) within the specified times during which the entry bins are open. The opening and closing times for the entry bins will be advertised through mediums used within the casino. A process for declination to be present at a draw will be available at the Customer Service Desk on the day of the draw for the period between the opening and closing times of the entry bins before the actual draw, where a participant can register to still be acknowledged for the prize, should he/she decline to be present for that draw(s) or when the prize winners are announced on that day. Participants must register to decline to be present at draws in person. No person shall be permitted to act on behalf of a participant to exercise this rule. Positive and acceptable form of identification must be presented by relevant parties when completing this process. (Please enquire with our Customer Service Desk). Prize winners or nominated Proxies who are present will be given 90 seconds to present themselves and must be in possession of evidence of the winning ticket and/or Blackrock Rewards card belonging to the winner; and positive and acceptable form of identification. Should the prize winner or nominated Proxy not present themselves within 90 seconds, a re-draw will take place. Should a prize winner who is eligible for a prize but who is not present as a result of declining an invite to be present for the draw, the casino shall take all reasonable steps to contact the prize winner via the contact details provided on the Proxy nomination form or otherwise readily available. In such circumstances the prize winner may within 15 days of the draw claim the prize at the Customer Service Desk. The prize winner must claim the prize at the casino within 15 days of the draw at the Customer Service Desk.